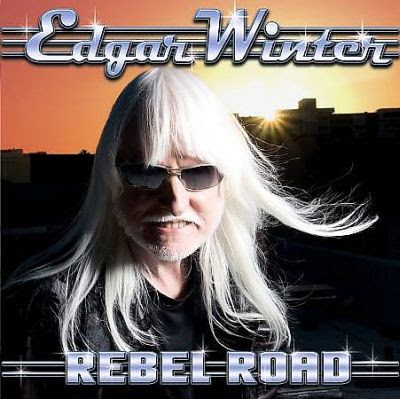 Rebel Road is an album by vocalist/saxophonist Edgar Winter. It was released on July 8, 2008 by Airline Records. The album features lead and solo guitar work by Slash on the single "Rebel Road", vocals and harmonica by Clint Black on "The Power of Positive Drinking" and "On the Horns of a Dilemma", and lead and solo guitar by Edgar's brother Johnny Winter on "Rockin' the Blues". The Edgar Winter Band on this album is comprised of Edgar Winter (vocals, saxophone, piano, organ, synthesizer and percussion), Doug "Douge Rapps" Rappoport (guitar and vocals), Koko Powell (bass and vocals), Chris Frazier (drums) and Jimmy Paxson (drums). Edgar dedicated "The Closer I Get" to his wife Monique Winter and "Peace and Love" to Ringo Starr.